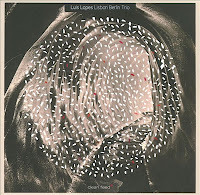 Lisbon Berlin Trio starts with the scratching and scraping of picks across the coils of round wound electric guitar strings. Percussion rattles below and a bowed bass fills the space in between. The muted soundscape grows and soon the guitar is lashing out with distorted chord tones and a disjointed rock-ish melody. By the end of the tune, the song is far from where it began. While it seems like the ten minute long 'Hang Out With' covers a lot of ground, other vibes permeat this album as well. The probing bass on song 'Mutant Free 1' invites Lopes to play flowing and rhythmically punchy lines. The percussion adds pulse to the mounting tension, ultimately breaking down into free sputters, scratches and plucks. Most likely entirely improvised, each song is listenable and interesting, featuring thoughtful and controlled playing, but also the willingness to let go and let the moment take the songs where wherever they will go. 'Song for M' is a good example of group restraint, whereas 'Mutant Free 2' builds to a climax with the guitar shooting syncopated blasts of energy from his fretboard. On guitar is Luis Lopes from Portugal, and on bass and drums, are Robert Landfermann and Christian Lillinger, both from Germany. This collection strikes me as being different than some of Lopes' other efforts I am aware of, like Humanization 4-tet and Afterfall. The playing here feels more raw and immediate, with a stronger rock elements throughout. The Clean Feed web sites describes the music as the results of musicians who "don’t specially care to give a 21st century content to the jazz format; it just happens they enjoy, and play, different kinds of music, and usually do it crossing boundaries and mixing vocabularies." 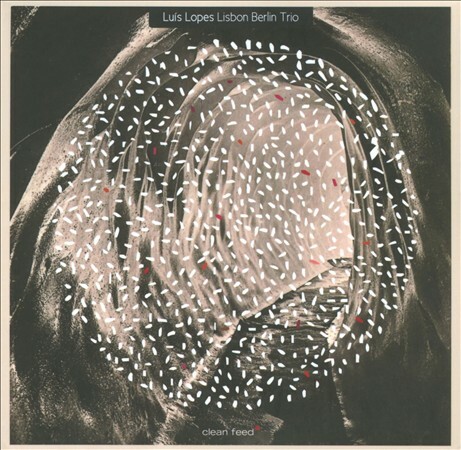 So, perhaps The Lisbon Berlin Trio is and is not a guitar trio. It almost doesn't matter that Lopes is playing guitar, it really is a whole new instrument in his hands, one that is approached in clusters, shapes and abstract extrusions rather than more familiar "guitaristic" sounds and shapes. Overall, a very nice album in which all the songs belie a telepathy between the musicians. It is a trio that I hope to hear more from in the future.